Vladimir Putin with President of Sri Lanka Maithripala Sirisena. 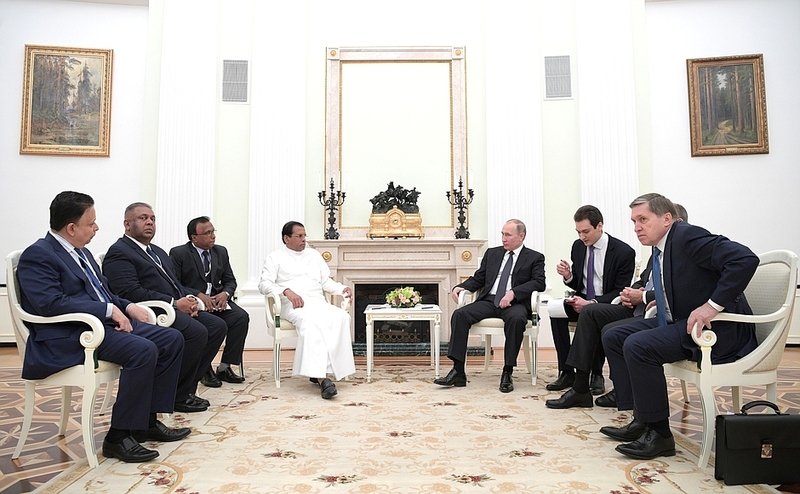 Vladimir Putin and Maithrepala Sirisena adopted a Joint Declaration following their talks. Beginning of meeting with President of Sri Lanka Maithripala Sirisena. 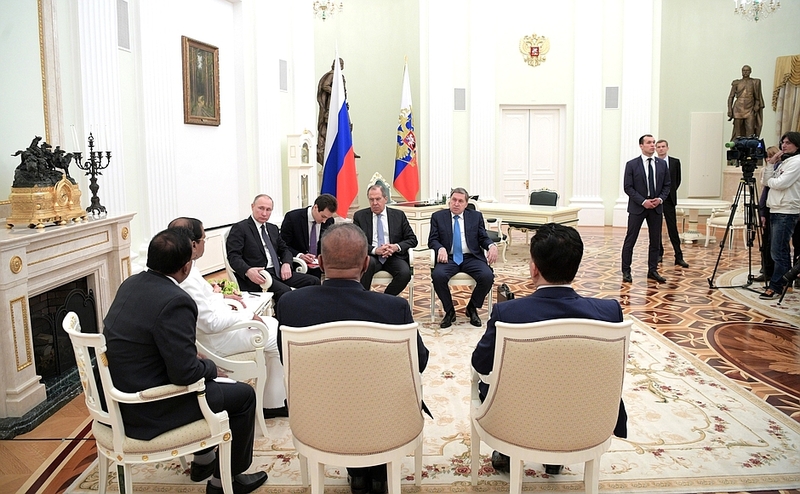 Mr. President, Russia and Sri Lanka have developed excellent ties over these 60 years. Of course, we need to reflect on what more we can do to develop our trade and economic ties, and, for my part, I urge you to appoint a co-chair of the Intergovernmental Commission from your side. It is a pleasure to see you. Welcome, Mr. President. Mr. President, you rightly noted that we are celebrating the 60th anniversary of diplomatic relations this year. Over these 60 years, we have indeed developed and strengthened our countries’ friendship. I see today’s meeting as historic, as it is taking place in this anniversary year. 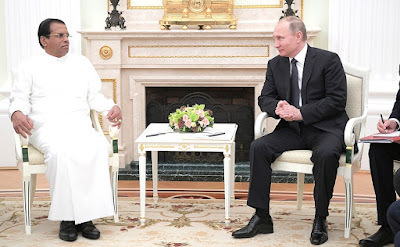 As for you personally, Mr. President, you are a great leader of your country and have great and unquestionable influence on the international stage. Meeting with President of Sri Lanka Maithripala Sirisena. Russian President with President of Sri Lanka Maithripala Sirisena. 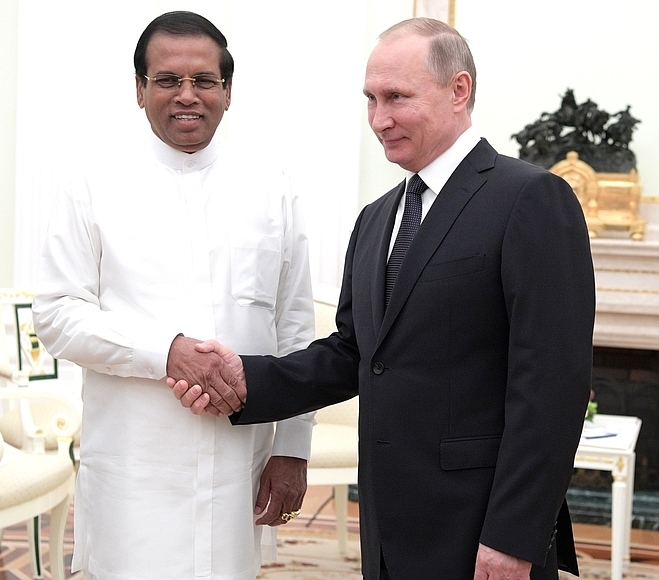 Vladimir Putin and President of Sri Lanka Maithripala Sirisena. 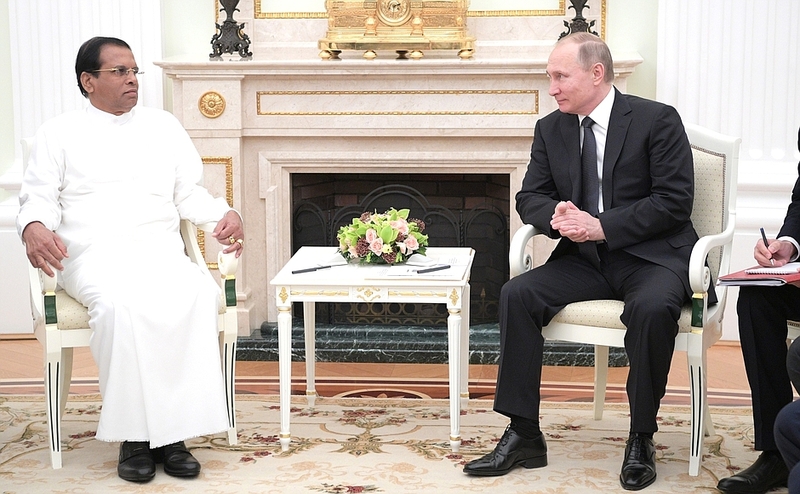 Presidents of Russian and Sri Lanka in the Kremlin. 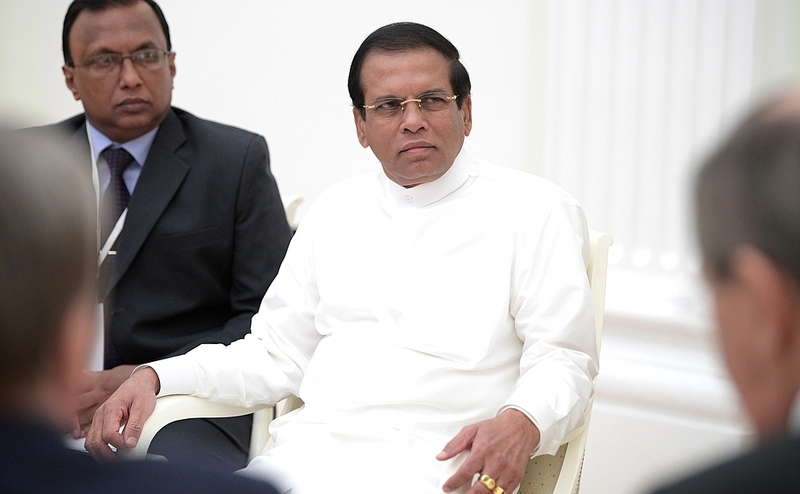 President of Sri Lanka Maithripala Sirisena. 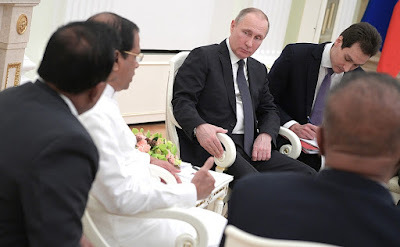 0 Comment to "Putin met with President of Sri Lanka Maithripala Sirisena"